Interior designing isn’t necessarily just putting up everything pretty and dandy in someone’s home. It’s the perfect blend and harmony of all things, from the walls, to the furniture and even the flooring. To achieve that chic look in your home, you can enrol to a short interior design course to have that stylish look in your home. If you’re planning to install a new flooring in your home, choosing the right flooring can be a tedious process. Laminate floorings are easier to install and maintain than other materials. It is less expensive and even durable to use for homes, especially with large families. Laminate is also available in different designs and colors, making it the primary choice of those on a tight budget but would love to bump up their interior design. To put it simply, laminate flooring as "the perfect flooring solution for homeowners with a modest budget; they are cheaper than hardwood flooring, yet still stylish, versatile and durable." We’d love to help you on how to choose the proper laminate flooring for your home. There are different cases where you might encounter conflicting design choices, and we are prepared to crunch it down! Here are some scenarios where you can encounter conflicts in designing your home with the proper laminate flooring. You might have a different taste for your home, but your walls or furniture might not agree. 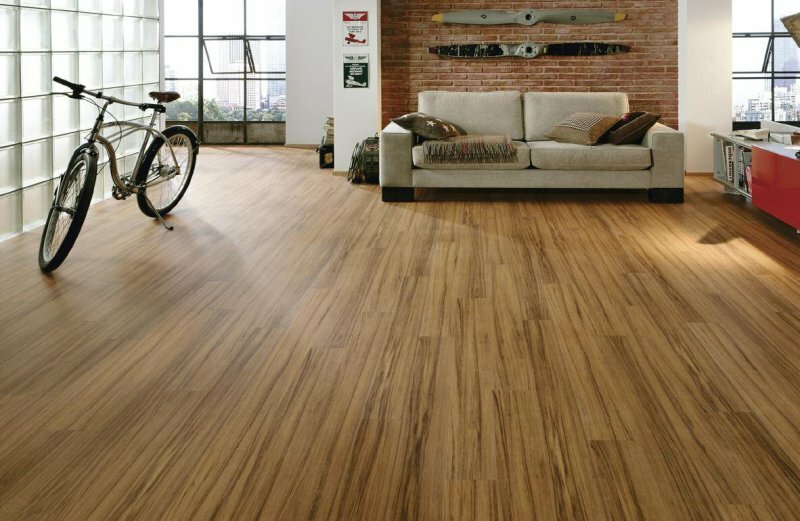 Let’s start discovering the right laminate flooring for you! We oftentimes look for the right flooring detail, but most of the time, the color of the laminate catches our eye. Some prefer wood laminate and some ceramic. We suggests that you need to choose a pale flooring material can lighten a room with dark interiors. It can significantly light up the room, as well as optically enlarge it. It also works best with different colors, so this is the safest option in choosing your laminate material. Selecting pale colors can create a lighter ambience, but if you do this too much, the room might end up with a dull atmosphere. Dark flooring however, goes well with light furniture. It can bring out the beauty of light colored interiors, but overdoing the use of dark colors in a room can result in a lack of atmosphere. A common tip in choosing the right floor color and material; it should be two shades lighter or darker than your furniture. If you decide to use the same color between your furniture and flooring, we recommend using a carpet underneath to contrast the furniture’s color. For furniture made of dark wood like walnut, we recommend using neutral colors such as varnished oak to bring contrast. Too much light or dark colors can ruin the mood by dulling interiors or making it way too gloomy. You should use the proper color and materials for specific rooms such as your bedrooms or in the living room. Here are some tips on how to mix and match your flooring to your furniture and vice versa. Yellowish beige flooring – optimistic aura, emanates a warm, cozy feeling. Brown flooring – commonly used for most homes, this type of color can complement almost everything, depending on its different shades of brown. Depending on your materials, you can create the impression that a room is wider or narrower than it seems. You can alternate wide planks and narrow planks for a contemporary take on your interior. Wide planks creates a country-house feel while narrow planks create a spacious effect.